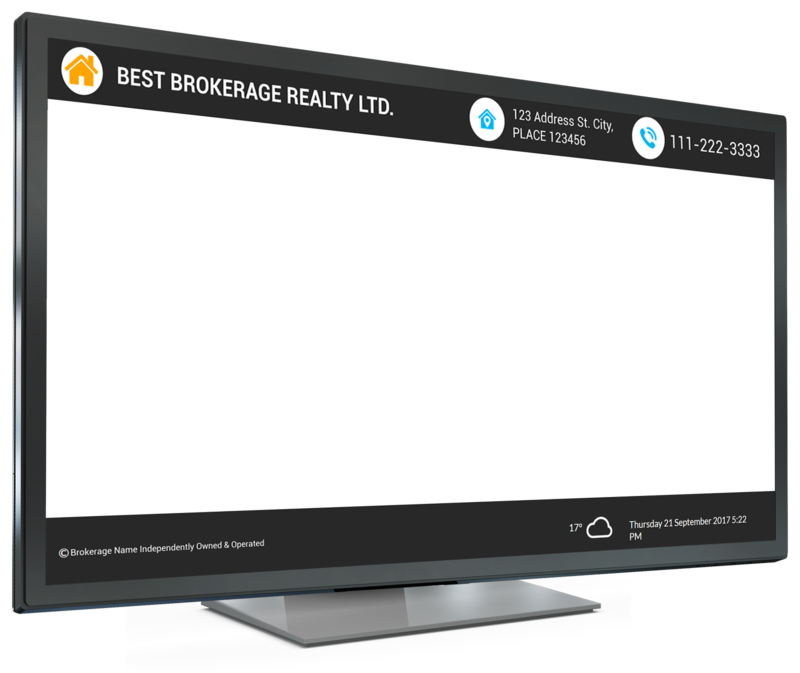 TV Real Estate Displays are a perfect tool to advertise your listings virtually! It can be a complementary addition to your office, a great entertainment piece while your clients sit tight by reception, an eye-catching visual for tradeshows or window displays, and much more! It’s a captivating marketing piece to spice up your image and spark the interest of people passing by. Are you an agent? Agent Partners? A Real Estate Team? No matter what your set up is, InCom’s Real Estate TV Display can make you shine in front of your audience. With this beautifully designed ad-like TV Window Display, it’s easy to showcase local listings and direct viewers to the right listing agent. 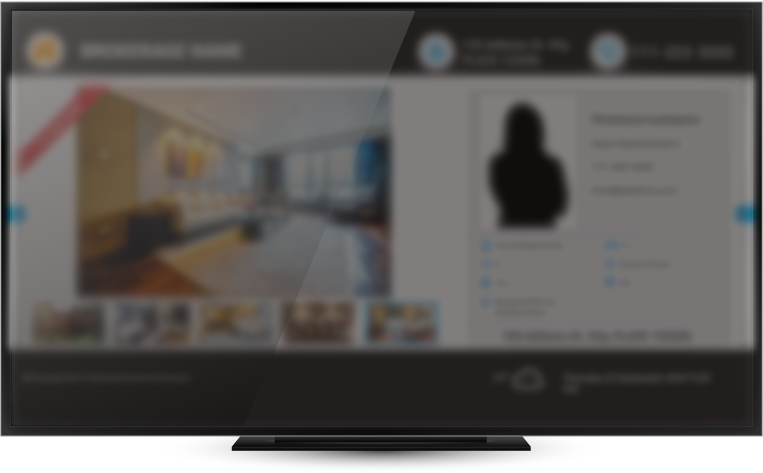 Plus, with multiple listings scrolling through the screen in a slideshow format, you can guarantee viewers will never get bored, or run out of listings for sale to look at! 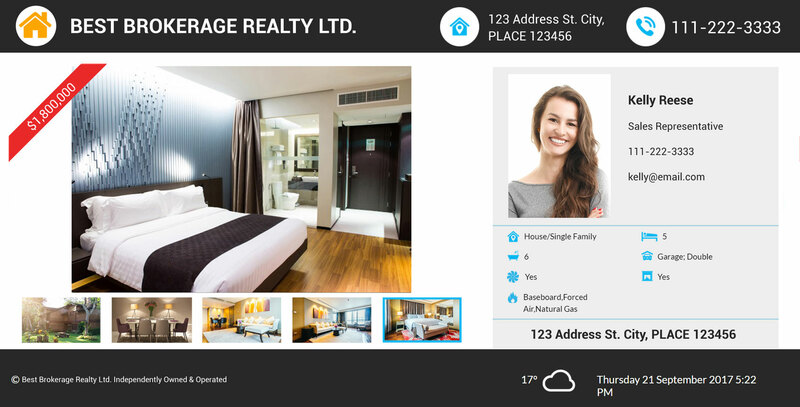 Showcase your featured listings with this mesmerizing slideshow, complete with photos and property details straight from your MLS. Direct your potential clients to the right listing agent and increase the number of qualified buyer calls you receive without lifting a finger! Complete with MLS Featured Listings and Agent Contact Information, your TV Display also conveniently specifies the current date, time and weather.